Lenovo has announced several new additions to its growing family of all-in-one (AIO) desktop computers. There are four models in the new range, all equipped with stunning IPS displays, including three B-series PCs and, the Lenovo A530, a slim, space-saving addition to Lenovo’s AIO range. The Lenovo A530 AIO desktop is a slim, space-saver that sports a widely adjustable screen, which tilts from -5⁰ to 90⁰ allowing use as a traditional PC or as a flat, table PC using the device’s 10-point multi-touch display for games and entertainment. The 23″ Full HD (1920×1080) 16:9 IPS, wide-view display measures only 0.8in/21.5mm thin, at its thickest point, and retains its low-profile even when folded flat on top of the 1.3in/32mm base. 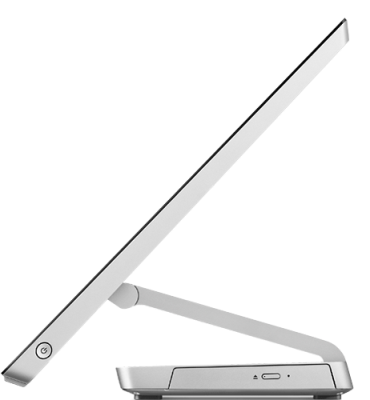 The entire device is clad in an all-aluminum chassis for strength and style. The Lenovo B750 comes with a 29″ Wide Full HD (2560×1080), 21:9 super-widescreen, frameless display supporting IPS wide-view technology, perfect for viewing movies and videos. The viewing experience is further enhanced by the inclusion of a JBL® designed 2.1 speaker system with built-in 20W subwoofer and Dolby® Home Theater®. Lenovo includes other enhancements to optimize the super-widescreen display including Lenovo Split Screen, allowing users to view and work with multiple windows simultaneously and Lenovo Eye Distance. The Lenovo B750 packs up to a speedy 4th generation Intel® Core™ i7 processor and powerful NVIDIA® GeForce® GTX760A 1GB graphics as standard. 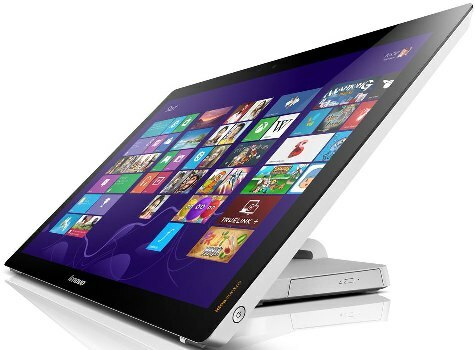 With an integrated DVD reader/writer or Blu-Ray Disc™ drive, a wide range of connection options including integrated Bluetooth 4.0 (optional) and Wi-Fi, a 6in1 card reader and optional HDMI out/in (optional) ports, the system makes it easy to manage and access photos, videos, music and more with the added convenience of Lenovo Motion Control which simplifies common tasks using instinctive hand gestures. The space-saving system is unobtrusive at just 11.73 in/298mm thin, while slide open rear panels make expanding memory and storage simple. The Lenovo B550 and Lenovo B350 pack high performance desktop components into an all-in-one form factor which can serve readily for entertainment and productivity as well as gaming. They both sport Full HD (1920×1080) IPS, 16:9 widescreen displays with the B550’s 23″ frameless display slightly larger than the 21.5″ display on the B350. Both devices couple their displays with integrated stereo sound and Dolby® certification, while the B550 adds Dolby Home® Theater® to its JBL®-designed speakers for outstanding audio performance. For gamers and enthusiasts alike, both devices are easily expandable using the sliding back covers for access. The devices are both powered by up to 4th generation Intel® Core™ i7 processors and have 16GB DDR3L memory and up to 2TB HDD storage or SSHD hybrid storage. Integrated Wi-Fi and Bluetooth, optical drives and a wide range of connectors including HDMI out round out the package ensuring that the B550/B350 perform well for most entertainment and productivity needs. 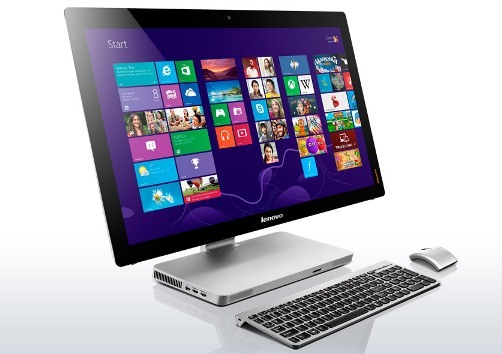 Lenovo B530 will be available starting October on Lenovo.com, pricing is TBD. Apple working on 12-inch iPad?